the Internet Archive last year. order to minimize the risk of such harsh penalties. chilling effect on behalf of people subject to the law. confusing patchwork of state laws. beneficial content that their services facilitate. is involved, the state has to be careful with its solution. suit asking the court to set aside the New Jersey statute. For more on the Washington case, Internet Archive v.
Find out more at https://www.eff.org. The modern American surveillance state is not really the stuff of paranoid fantasies; it has arrived. The American Surveillance State owes the public an explanation. The public needs to decide if these policies are right or wrong. Criminal investigators may not carry out unrestricted computer searches without proper evidence to support their probe because computer drives store a massive amount of sensitive private information protected by the Fourth Amendment, the Second Circuit found Tuesday. QUESTION: How can the United States shape the global cyber landscape to promote U.S. economic interests, and develop a cyber domain that considers transparency, accessibility, security, and privacy? Aerospace education specialist Sandy Kaszynski will share teaching strategies that guide students to understand the Earth-moon system in concrete ways. This webinar highlights NASA resources about the phenomena of moon phases and eclipses. Recent discoveries from the latest NASA missions also will be shared. Join aerospace education specialist John Weis as he provides teachers with additional details outlining the final steps of the engineering design process: build, test, evaluate, redesign and share solution. Participants will also model experimental facilitation and the questioning process. Join aerospace education specialist Lester Morales as he discusses ways NASA is studying climate change. Participants will received a list of website tools and interactive remote sensing technologies to help bring an understanding of climate change into the classroom. The 2013 Exploring Space Lectures will feature world-class scholars discussing the incredibly diverse worlds that make up our solar system. The lectures will be held at the National Air and Space Museum in Washington, D.C., and are free to attend. Tickets are required. The lectures will be webcast live for free viewing. Lecture videos will be archived. Through the decades of planetary explorations, a wide variety of spacecraft (orbiters, landers, rovers and more) have revealed an amazing diversity of worlds, each with its own story to tell. Join James L. Green, director of planetary science at NASA Headquarters, as he guides attendees through the 50-year voyage of discovery. The lecture will take place on June 13, 2013, at 8 p.m. Come early to see a free film and to meet the lecturer. For more information, visit http://airandspace.si.edu/events/eventDetail.cfm?eventID=4980. The LAUNCH Systems Challenge 2013 is open through July 15, 2013. Early bird submissions are due June 15, 2013. Ten innovators that apply by the June 15 early submission deadline will be selected to qualify for professional advice on submissions. The first 10 innovators will receive a special message from an astronaut or elite athlete. Join astronomers and educators from Southern Illinois University Edwardsville and CosmoQuest to learn how your students can conduct authentic astronomy research in the classroom. The workshop is open to middle school educators and will take place June 17-21, 2013, in Edwardsville, Ill. Participants will receive practical ideas for bringing citizen science into the classroom. Free materials and a stipend will be provided. Optional continuing professional development units and graduate course credit are available. For more information, visit http://www.smdeponews.org/programs-events/cosmoquest-lunar-surface-geology-workshop-for-middle-school-educators-june-17-21/. Questions about the workshop should be directed to Georgia Bracey at gbracey@siue.edu. As part of a series of electronic professional development experiences for educators, the NASA Explorer Schools and the National Science Teachers Association are hosting a 90-minute live professional development Web seminar for educators on June 19, 2012 at 6:30 EDT. This Web seminar features three lessons for grades 6 – 8 that address the middle school Engineering Design performance expectations in the Next Generation Science Standards. The lessons focus on a real-world understanding of Newton’s Laws of Motion and common misconceptions associated with the laws. The featured lessons are Rocket Staging: Balloon Staging, Lunar Landing: Swinging Tray and Lunar Base Supply Egg Drop. Applications are due June 20, 2013. For more information, including the symposium agenda and instructions for registering, visit http://www.lcpm10.caltech.edu/symp.html. Participants will engage in hands-on learning experiences designed to develop their skills for teaching science, technology, engineering and mathematics using NASA-developed resources. Participants will have opportunities to interact with NASA scientists and engineers, making real-world connections to standards-based classroom content. Full-time rising junior or senior undergraduate and graduate students, including career switchers, are invited to apply. Students who participate will receive a stipend for attending. Please email any questions about this opportunity to Shannon Verstynen at shannon.verstynen@nianet.org. Each workshop will be limited to 25 participants. Interested educators are encouraged to apply early to secure a spot. Qualified applicants will be accepted in the order they apply. Please email any questions about this opportunity to Debbie Murray at Deborah.B.Murray@nasa.gov. NASA’s Centennial Challenges program is part of the agency’s Space Technology Mission Directorate, which is innovating, developing, testing and flying hardware for use in NASA’s future missions. For more information about NASA’s Space Technology Mission Directorate and its Centennial Challenges program, visit http://www.nasa.gov/spacetech. 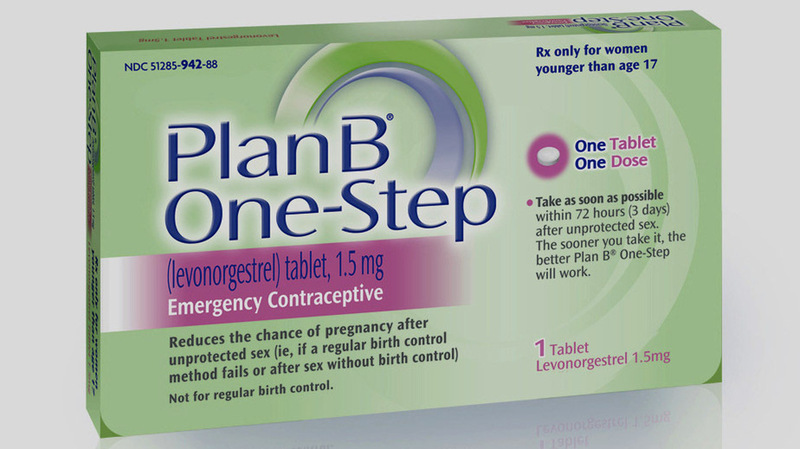 Plan B contraceptive is now for all females of any age ! Plan B contraceptive is now for all females of any age!! The 4th Amendment, Corporate Governance and Surveillance. #1 the government tells the companies that they are legally required to comply, and that as corporations they are legally forbidden to reveal the subpoenas/requests for information. Apparently the laws Congress has passed since 9/11 support this position. So the commands from the government probably start near the top of the company, and work their way down. #2 if CEOs were to quit every time a government tells them to do something they don’t agree with, few would remain. #3: the government both prosecutes and persecutes individual whistleblowers in these situations. Q: Did none of these people resign in protest? Did none ask to be reassigned? Were they all convinced by the NSA’s argument that “it’s the only way to keep you safe”? Or were they simply cowed into silence, afraid to act, afraid to move, afraid to not do what was asked? Michael Woodford’s _Exposure_, about his very brief tenure as president of Olympus, and the accounting scandals that came to light during his time, which he refused to sweep under the rug. He became a major whistleblower, and much of Olympus’s board resigned, and some were prosecuted, as a result. Why these activities are so pernicious, is that regardless of how appropriate the intended consequences anyone can paw over the data can use it for any purpose. The Known and Unknown Rules, becoming part of the borg. The Masters, The Humplings, and The Dregs but so what! You never get the truth from the company Memo ~ Timothy Leary. A significant opinion was decided by the 6th Circuit Warshak v. US, upholding 4th Amendment protections for emails. The 6th Circuit ruled, agreeing with an amicus brief filed by EFF, that “A [government] seizure of e-mails from an ISP, without either a warrant supported by probable cause, notice to the account holder to render the intrusion the functional equivalent of a subpoena, or a showing that the user maintained no expectation of privacy in the e-mail, amounts to” a 4th amendment violation. This case is doubly important because the government primarily argued that the 4th Amendment shouldn’t matter, as it complied with most (but not all) of the relevant administrative subpoena statute, with its lesser standards of proof. Details: US statutes offer some privacy for emails, based on distinctions like ‘sent’ vs. ‘in transit’ vs. ‘stored’ vs. ‘read or unread.’ These categories, their standards of proof and the protections they offer, are hotly debated themselves because the US has several statutes (the Wiretap Act, ECPA, etc.) that protect some emails and computer uses, most cases never have to address the 4th Amendment issue. The case can be decided just based on whether the statute was followed. A recent case, Councilman, may be familiar to readers as an example of a case that involved the intricacies of these statutes. But the issue has always been lurking as to whether or not there is additional 4th Amendment protection above and beyond the statutes – especially as amendments (like the Patriot Act) have pared back the protections or standards in these statutes. The court today signaled there clearly is independent 4th Amendment protection, and ruled that some portions of ECPA were constitutionally inadequate. Infringements on Privacy – What is Protected and Private? Various US government agencies have spent a lot of time and energy hoping to ensnare as much cell phone data as possible without having to deal with the “barriers” erected by the Fourth Amendment. The feds, along with Los Angeles law enforcement agencies, have bypassed the protections of the Fourth Amendment by deploying roving cell phone trackers that mimic mobile phone towers. The FISA Amendments Act has been used as a “blank check” for wholesale spying on Americans and has been abused often enough that the Director of National Intelligence was forced to admit these Fourth Amendment violations publicly. The good news is that a few of these overreaches are receiving judicial pushback. Surveillance – Who’s Watching the N.S.A. Watchers? Welcome to a world where Google knows exactly what sort of p0rn you like, and more about your interests than your partner does. Welcome to a world where your cell phone company knows exactly where you are all the time. Welcome to the end of private conversations, because increasingly your conversations are conducted by e-mail, text, or social networking sites. you do or is done on a computer, is saved, correlated, studied, passed around from company to company without your knowledge or consent; and where the government accesses it at will without a warrant. “Everyone’s been aware of it for years, every member of the Senate,” said Sen. Saxby Chambliss (Ga.), the ranking Republican on the Senate Intelligence Committee. Under the auspices of the Foreign Intelligence Surveillance Act. He said he was not aware of a single citizen filing a complaint about it. I love the comment that “nobody complained about it” — maybe because nobody knew about it! Q: Does this “oath to hold their tongues” supersede their oath to uphold the Constitution to the United States against enemies both foreign and DOMESTIC? The administration has now lost all credibility on this issue. Mr. Obama is proving the truism that the executive branch will use any power it is given and very likely abuse it. So that’s what the NYT “discovered” that we have today: a 1997 type of control. Perhaps they can also announce the ’97 solution. In 1997 All these methods, besides the obvious advantages of a legal and centralized control method, provide however a back door into each person’s or company’s private businesses by giving government agencies the possibility of easy decryption of otherwise private messages. One could add that these methods make network systems insecure also by design, whereas before they were insecure by accident. So, why are the NYT and people here claiming surprise today? This is all actually very old old news. This was a new (’97) type of control — and was devised because the Internet is at odds with centralized control, so Internet control must be decentralized in order to be effective. Q: How Does the How the military and civil service always manage to control the administration’s position on such things? As a man who had both made history and who personally knew dozens of others with “world-historic” ambitions, most notably the Rockefeller brothers, even he couldn’t stop the *machine* that came rolling out of WW II to dominate US policy and actions — domestic and foreign. Following the Nixon impeachment, what President was safe? Was Reagan *really* the President? How about Clinton after he was also “impeached”? No one thought that George W. Bush was really the “decider” — did they? The NYTimes endlessly complains about how Obama is “detached” and “too cool.” Of course he is. Why would he want to know what’s going on? He’s a law professor from Chicago, without the experience or personality to actually “run” anything. Only 57.5% of eligible voters actually cast ballots in the 2012 election and Gallop has just fallen on their sword over how they mis-estimated the makeup of the turnout — which was skillfully “engineered” to give Obama an apparent “victory” where everyone knows he really won because many Republicans *really* didn’t want Romney, so they stayed home. The US hasn’t had an over-reaching *strategy* since the Cold War and that was designed in the 1950s. Instead, we have a situation where “no one” is in charge and “no one” really has a comprehensive picture of what is actually going on or what to do about strategically. Instead, the MACHINE is running the place. If the technology *wants* it to be done, then it is budgeted and “cleared” legally, since, as we all know, the Constitution requires actual people to apply it — but the *people* have retreated into their “fall-out” shelters, hoping to survive the conflagration. It has been a *very* long time since the US has had either a leader or a leadership group or a process like this. As a result, the *BUS* is “driving” itself and, for better-and-worse, the rest of the world both knows and fears where it is heading . . . !! The civil service controls what the politicians see and hear (substantially&nbsp;in a policy proposal sense, certainly also in an&nbsp;intelligence&nbsp;information sense) so of course they have substantial control of the discourse. I think they also have an advantage in that relatively few people in the US think of the civil service as its own entity, with its own goals, directions and interests. This enable it to operate in more of a stealth mode. Lobbyists certainly understand this. Organization, is about linkages. Society may be thought of as the workings of an intricate machine, with all the parts working happily at their complementary functions. But one thing is for damn sure, whatever that scandal is, you can bet the American mainstream media will be playing catch up and not carrying the glory of breaking a story about a major White House scandal. Fact: Over the past few weeks, four major scandals have broken over the Obama administration, and it is a very sad (and frightening) truth that our pathetic, American, lapdog mainstream media is not responsible for breaking even a single one. This disclosure was made by a British newspaper not U.S. Journalists. Perhaps the recent monitoring of (Associated Press) reporters inhibited them from pursuing the matter. Will this lead to the UK and USA going forward with expanding the UK’s Official Secrets Act to include disclosing secrets of foreign countries? The NSA’s surveillance of cell-phone calls show how badly we need to protect the whistle-blowers who provide transparency and accountability. We know the FBI has issued tens of thousands of ultra-secret National Security Letters to collect all sorts of data on people — we believe on millions of people — and has been abusing them to spy on cloud-computer users. We know it can collect a wide array of personal data from the Internet without a warrant. We also know that the FBI has been intercepting cell-phone data, all but voice content, for the past 20 years without a warrant, and can use the microphone on some powered-off cell phones as a room bug — presumably only with a warrant. NSA’s ECHELON program from a 2000 European investigation, and about the DHS’s plans for Total Information Awareness from 2002, but much less about how these programs have evolved. For a lot of this, we’re completely in the dark. The rest of society isn’t grateful enough for what they did to defend their reputations or help them get another job. Whistleblowers are utterly dependent on how other people tell their story: will the focus be on their motives (disgruntled, troublemaker, security risk, politically inept) or whether what they did was for the greater good? In the three years it has taken the US military to bring Bradley Manning to trial, the Obama administration might have hoped some of the political heat surrounding the biggest leak of classified information in US history would have dissipated. if you agree with it, please sign it and send it to your friends on facebook and on your email lists. The 23-page report, obtained by The Associated Press and the American Civil Liberties Union under the U.S. Freedom of Information Act, provides a rare glimpse of the Obama administration’s thinking on the long-standing but controversial practice of border agents and immigration officers searching and in some cases holding for weeks or months the digital devices of anyone trying to enter the U.S. the US Government also asserts that such warrantless searches can be done within 100 miles of the US border. Two thirds of the US population lives within that distance. within 100 miles of the US land and coastal borders. by the 2000 census, fall within the Constitution-free Zone. New Hampshire, New Jersey, New York, Rhode Island and Vermont. Welcome to the era of Total Information Awareness and ain’t it grand? The problem isn’t the National Security Agency. It’s the Patriot Act and what it represents as we watch the modern surveillance state take shape — in secret. British government has access to Internet giants’ data via US spy agency. Britain’s Guardian newspaper says that the U.K. government has been secretly gathering communications data from American Internet giants through the medium of the U.S. National Security Agency. The paper says that it has seen documents showing how the British eavesdropping agency GCHQ has had access to America’s “Prism” system since at least June 2010. Welcome to the era of Bush-Obama, a 16-year span of U.S. history that will be remembered for an unprecedented erosion of civil liberties and a disregard for transparency. On the war against a tactic—terrorism—and its insidious fallout, the United States could have skipped the 2008 election. It made little difference. Despite his clear and popular promises to the contrary, President Obama has not shifted the balance between security and freedom to a more natural state—one not blinded by worst fears and tarred by power grabs. If anything, things have gotten worse. Let’s not forget that if the NSA+Verizon (et.al?) thing isn’t scary enough, the FBI wants to backdoor everything we own for spying, ala CALEA 2.0. The WaPo and Guardian report this evening that through its PRISM program, NSA also is directly tapped into the systems of many leading Internet services, such as Microsoft, Yahoo, Google, AOL, Skype, and (as of April 2013) Apple. Turn over call information (“telephony metadata”) to the National Security Agency (NSA). Silent Circle’s products are built completely around security and privacy. They meet the NSA’s “Suite B” standards. Emails are encrypted using the PGP protocol designed 20 years ago by Phil Zimmermann, the longtime security expert and privacy rights advocate who serves as the company’s president. Voice and video communications are encrypted by ZRTP, another Zimmermann invention. Janke says the company has three customer bases: individual subscribers, enterprise clients, and governments. In the federal government, he said, there’s even been a surprising market coming from the Bring Your Own Device phenomenon: agencies, he says, buy Silent Circle for their workers to manage their personal smart phones. The firm says U.S. Special Operations Command approved it as a commercial secure communications provider earlier this year. Nonprofit organization Consumer Watchdog called Google executives hypocrites for the restrictions. “Google has unleashed one of the most privacy invasive devices ever,” John M. Simpson, privacy project director at Consumer Watchdog, said in a press release.